Sandra Bookman reports on the warning signs of the flu. NEW YORK (WABC) -- With concerns over the flu epidemic increasing, some are wondering how to spot it, and if you're sick, how to tell it apart from other potential problems. This winter's flu season has been especially harsh and deadly. Nationwide, at least 30 children have died. In fact, the CDC says every state except Hawaii is reporting widespread flu activity. Manhattan internist Dr. Louis Morledge says he has certainly seen an increase in flu patients, mostly, he says, because this year's flu vaccine is not well-matched with the dominant strain of flu that's circulating. What we really wanted to know is, how do you tell whether it's just a bad cold or the flu? "For the most part the flu is sudden onset," said Dr. Morledge. "Someone might be feeling well one hour then all of a sudden, bang, they're hit rapidly with symptoms." 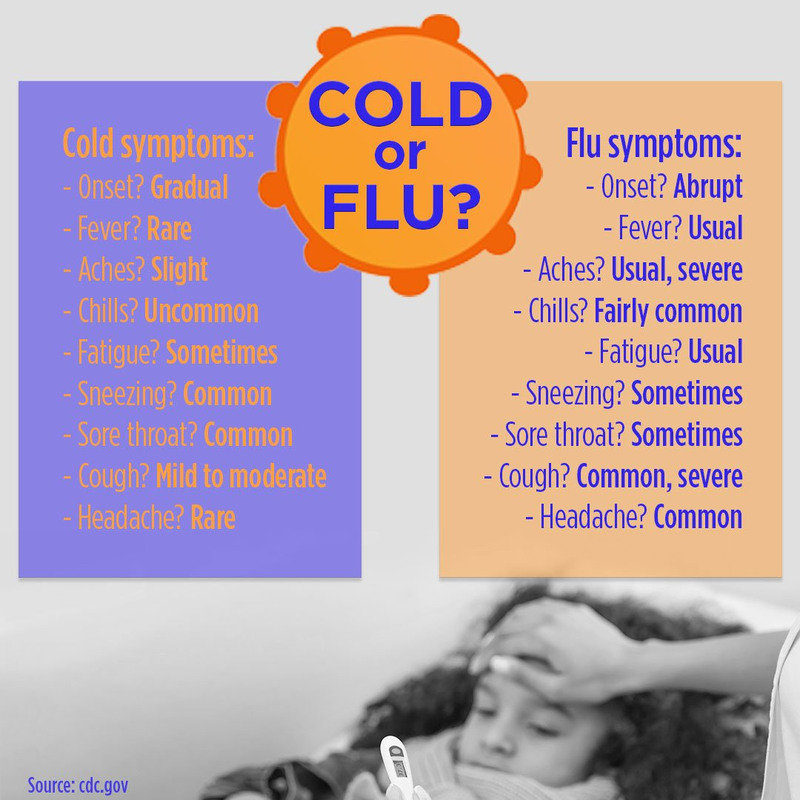 He says while a cold and flu do share some of the same symptoms including a sore throat, runny nose and headache, Dr. Morledge says the differences are significant. Extreme fatigue and high fever are textbook markers of the flu. And should you immediately head to the emergency room or the doctor's office if you're not sure how sick you are? No. "Patients having a doubt over what their symptoms may mean, contact their health care professional and get some advice as to what the next step may be," said Dr. Morledge. We also asked how to avoid getting the flu. His suggestions: If you're sick, stay home; avoid contact with sick people; and wash your hands frequently and well. "I would urge all my patients whatever their age may be to get the flu vaccine. It is absolutely not too late", Dr. Morledge said.